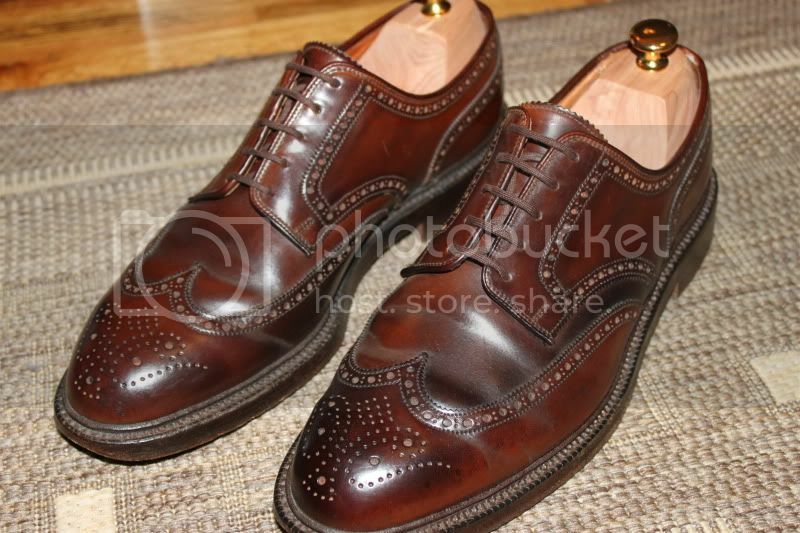 I too am interested in seeing what other designers can accomplish using shell cordovan. Show us what you have. I'll play...here are mine...all Vass. PS - just edited mentioning the colors of the shells. The Antique Cognac just might be my favorite. Amazing depth while remaining a classic, vibrant brown. They're all pretty killer though! 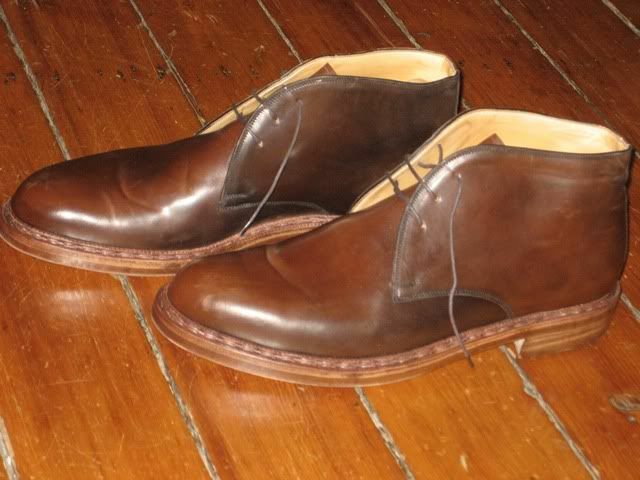 ...no kidding: what kind of winter are we talking, where crepe soles are doing fine? I do not have the requisite intellect for an effective comeback, so yes, in all instances. You must be small because no grown man wears a 7. Sorry OP for shitting up your thread. Thanks! These are F last. I really like how the F last looks with a captoe. It makes it seem wider and more structured than usual. Nick - those are yummy! Fritzl - I seem to recall that you don't like Dainite for winter. I've worn crepe in snow, slush, and on ice - admittedly, not for all day treks in the woods - but around town and kept dry and slip-free. 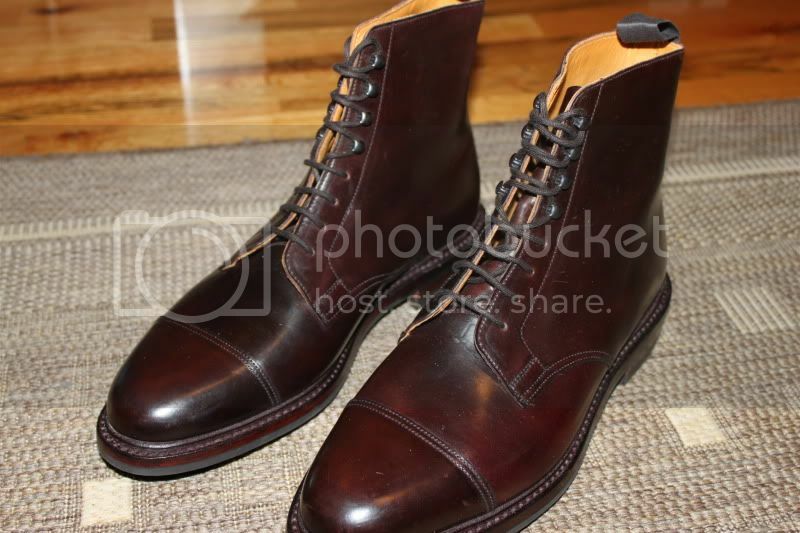 Great boot, Nick - maybe I should order a pair? 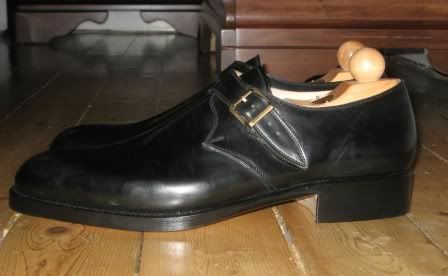 Loving the Vass double monks in shell. 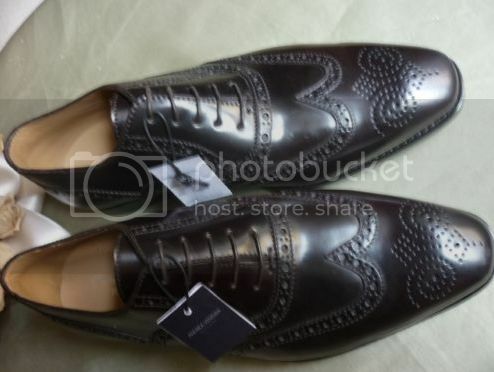 I purchased these dark brown wingtips from eBay a few days back. 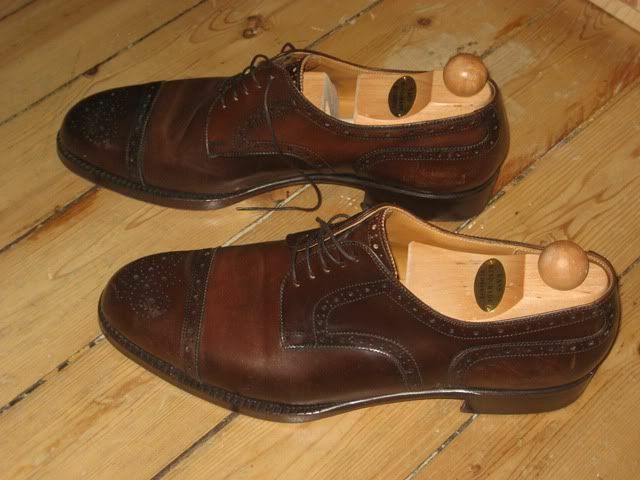 I think they're by the same makers that are responsible for the Gieves & Hawkes shell shoes. Should have some better photos when they actually arrive. i didn't realize that the majority is without a captoe. i'm a derby man and the Wiener style, with or without medallion(Alt Wien) is my favourite execution on them. i cannot care for the bevelled waist. it's not flattering for my frame. Fritzl - I seem to recall that you don't like Dainite for winter. whether, i would like it or not. it's not functional on snow. dainite is a rain wheel, no more or less. understood, that only iron spikes are really functional on blank ice. I've worn crepe in snow, slush, and on ice - admittedly, not for all day treks in the woods - but around town and kept dry and slip-free. completely sure. irl, i'm very pleasant... ...most of the time. it's just my patriotic vein. 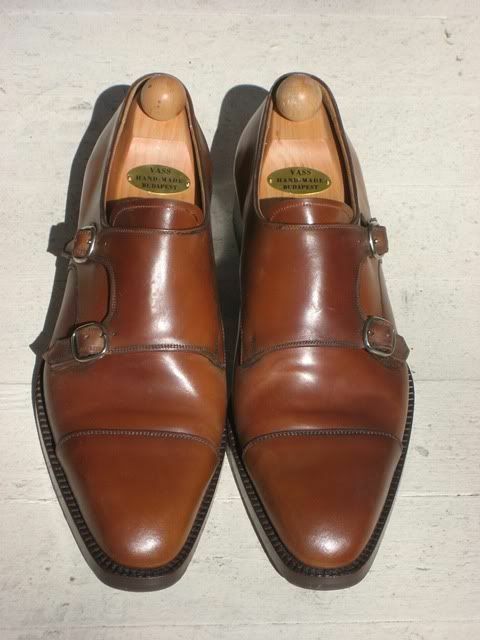 Wiener is with medaillon - no bevelled waist, except on customers demand with bespoke orders. Alt-Wien is without - dito. that's the way i've been taught it. vass just doesn't distinguish between the two names. that's all. so you're correct, that's their alt-wien model.